Had Joe and crew on the boat this morning to try our hand at a little kingfishing just off the coast of St Pete Beach. After catching a live well full of perfect sardines we made the run offshore in sloppy but fishable conditions. You don’t always get perfect conditions, but for those brave enough to head out anyway you can often be rewarded. 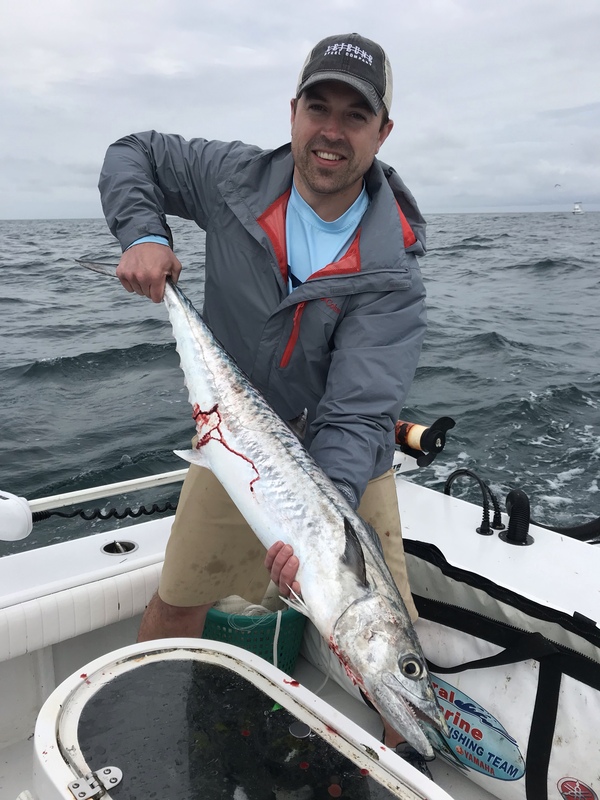 Kingfish more than most actually prefer less than ideal boating conditions. 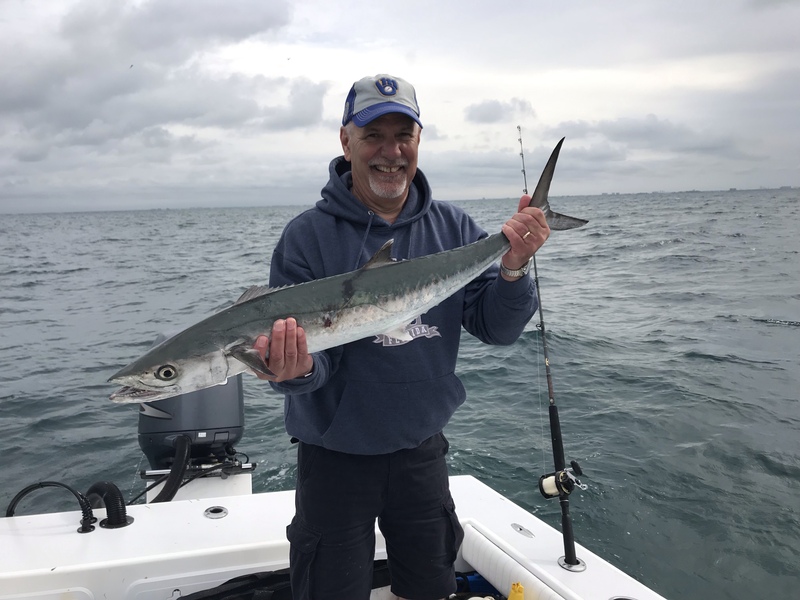 We were rewarded for our persistence with a hot kingfish bite! After arriving to the spot we had a fish on in minutes and the action never slowed down until we left. The big fish of the day went just over 20 pounds with lots of fish over 10 pounds in the mix. Our bites came slow trolling sardines on #3 stinger rigs and 25lb mono line. 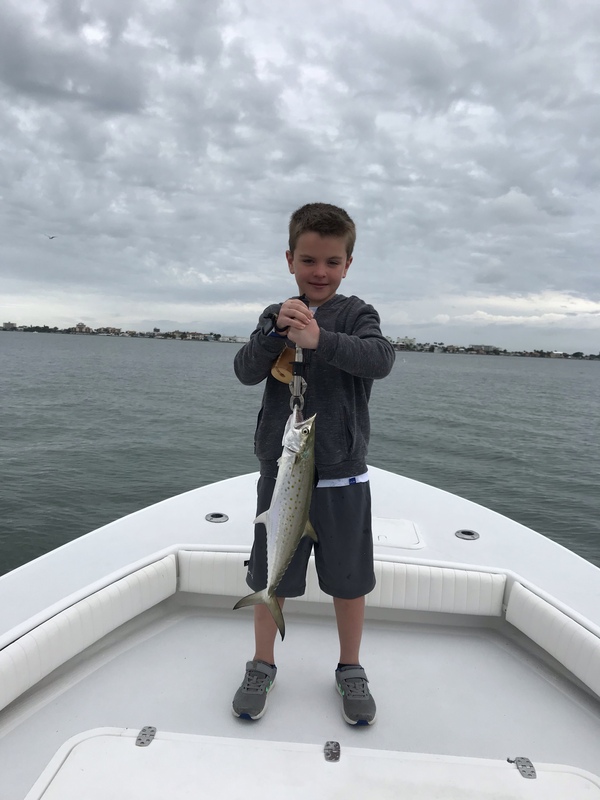 After getting our fill of kingfish we headed inshore where we caught spanish mackerel and speckled sea trout all in sight of the marina and the condos that line St Pete Beach. Included are pictures of a few of our kingfish and Ethan’s spanish mackerel that made his morning!